I think I just managed to squeeze two countries into one post title and I'm rather proud of myself for doing so. I might also be even more proud to be working with Photowall on this lovely article. They contacted me quite a while ago, asking whether or not I would be interesting in featuring a canvas or wall mural on my blog (yes, they also do murals, how cool is that?). If you know me or sneakily follow me on Instagram, you might be aware of my love for anything canvas-related. 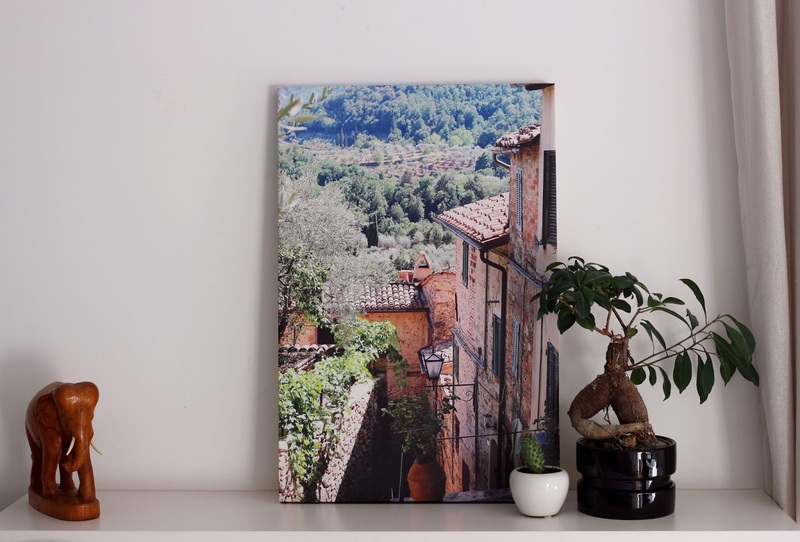 Paintings, photos by others and now, a canvas with my very own photo (which was taken in Italy, hence the title)! The moment I received the canvas print I got extremely excited to have this piece up on my wall. 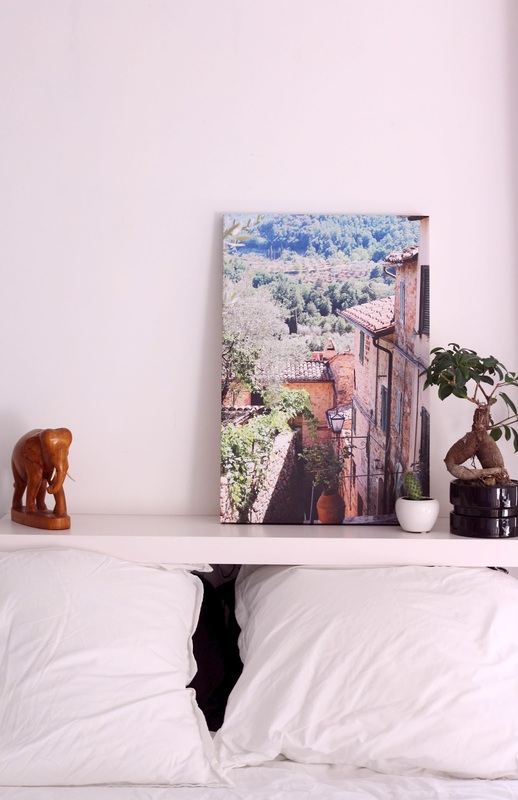 However, if you're not as much into photography as I am, but you'd like a little something on your wall, you can check out their designer-made canvasses. I was about to go for a galaxy print, but my own framed photo would be a little more original (and exciting). This stunning quality print came with a diy-frame which took me a second to figure out and another second to put together, but I'm so pleased to see it in my bedroom. You could totally gift a canvas to a friend, a dear family member, your dog. 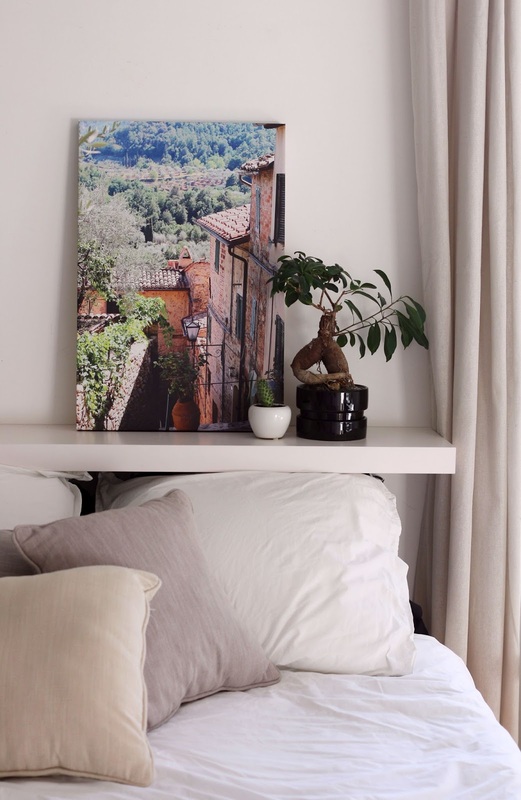 Or, if you're bored of staring at a plain, white wall in your room, you can get yourself a mural.